We invite you to join us at our new Redwood City office for a tech meetup happy hour on June 25th at 6pm. Come meet some great people and get a glimpse of the bold new features and products SendGrid is bringing to email. 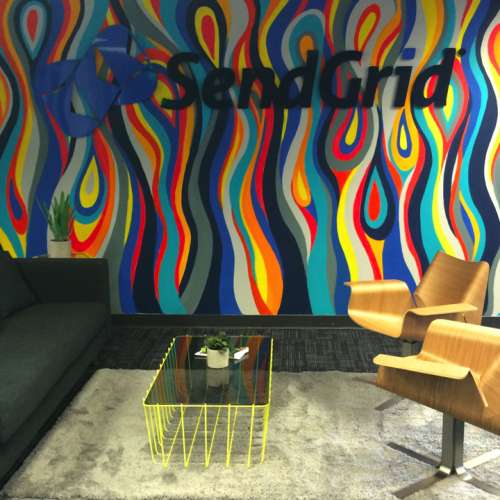 In early April, SendGrid opened a new 5,775 square-foot office in Redwood City, California. 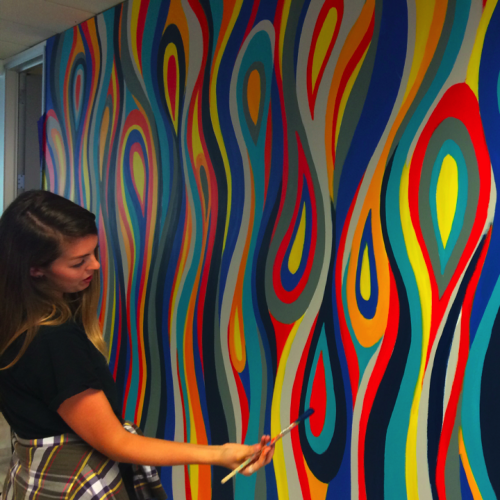 The office, a block away from Caltrain, features many collaborative areas, an open bullpen environment, new 27-inch Macs, electronic standing/sitting desks and our favorite, two massive murals, by our own Chelsea Hart, who was just featured in The Denver Post. This new office has been a great move for us: we now have access to the Bay Area’s competitive talent pool, we’re closer to the email ecosystem fueling Bay Area companies and, of course, we’re closer to some of our clients, which include Uber and Airbnb. It’s just the move a growing company needs. And it comes with the Colorado culture that’s put SendGrid on the map. We asked Paul Jonart, a Senior Technical Account Manager at SendGrid, and one of the office’s first employees, to share a few of his thoughts on the new office. His favorite feature: the new “command center,” which is themed after Alcatraz. Our command centers allow each office to communicate with one another and participate in all-hands meetings. As for the day-to-day, Jonart said he liked the openness of the office, allowing for easy cross-team collaboration and communication. What’s most exciting, however, is the exposure the new office gives the SendGrid team. Establishing and maintaining relationships is arguably one of the most important aspects of Jonart’s job, and being close to his clients is something that has enhanced the relationship-building process. There’s no doubt that both our current and prospective clients residing in the Bay Area will benefit from having us so close. So if you’re in the area, we’d love to see you for happy hour on the 25th and if you’re interested in being at the office full-time, check out our exciting job opportunities on our careers page.